Life insurance contracts are often long and full of fine print. This fine print is there not only to protect the life insurance company, but also the policyholder and the beneficiary. 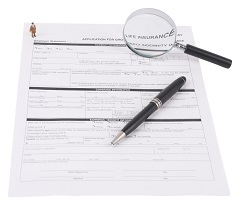 Depending on the type of life insurance policy, there may be many different clauses and pages of fine print to read. However, it’s extremely important to understand the clauses that might appear in your life insurance policy. That way, you and your beneficiaries can be prepared when the time comes to renew, or use, your life insurance policy. The following are the most common clauses that make up the “fine print” in a life insurance contract. The contestability clause, also referred to as the “period of contestability,” is defined by a period of time that the insurance company can contest a claim on benefits. This is typically a two-year period after the policy is taken out and protects the insurance company from fraud. If, for example, a policyholder died within the first two years of holding the policy, the insurance company would investigate the death in order to determine whether fraud had been committed. After the contestability period, the insurance company must pay policy benefits to the beneficiary regardless of whether fraud has been committed. The incontestability clause prevents the life insurance provider from refusing to pay out benefits in the event of fraud or a misstatement after the contestability period has passed. A misstatement of age clause is just as it sounds. If a policyholder is found to have misrepresented his or her age in order to receive lower insurance premiums, the insurance company reserves the right to revise the premiums to what they would have been if the accurate age had been disclosed. The conversion clause depicts the terms under which a term life insurance policy can be converted into a whole life insurance policy. The spendthrift clause is all about your beneficiary. If your beneficiary has debts, the Spendthrift Clause protects him or her from the creditors that might otherwise try to collect on an insurance payout. Instead, the spendthrift clause might specify other terms for paying out your policy, including paying your beneficiary in installments. Surrender charges are designed to protect the life insurance company in the event that the holder of a whole life insurance policy does not pay his or her premiums (and thus cancels the policy). Surrender charges are typically taken out of the policy’s accrued cash value and used for paying costs associated with administering the policy. Similar to the contestability clause, the probationary period is the period in which the policy does not accrue cash value, and for when benefits will not be paid out. For life insurance policies, the probationary period is usually two years, but this depends upon the life insurance company and the individual policy.